Andy joined United as a teenager from Rangers Amateurs Boys Club and was involved with the Scottish national squad at schoolboy and youth level. By November 1989, he had progressed through the United youth system to the reserves. He was part of the team which won the BP Youth Cup in 1990 and 1991. 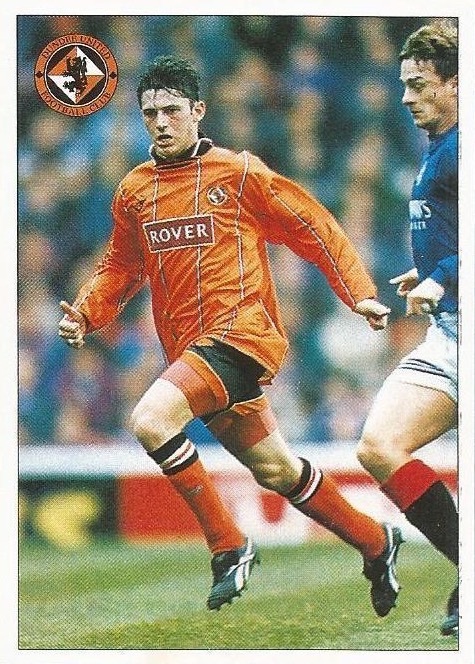 A right sided attacking player, Andy made his first team debut on in July 1991 against Rangers as a substitute, in the testimonial match for Maurice Malpas. 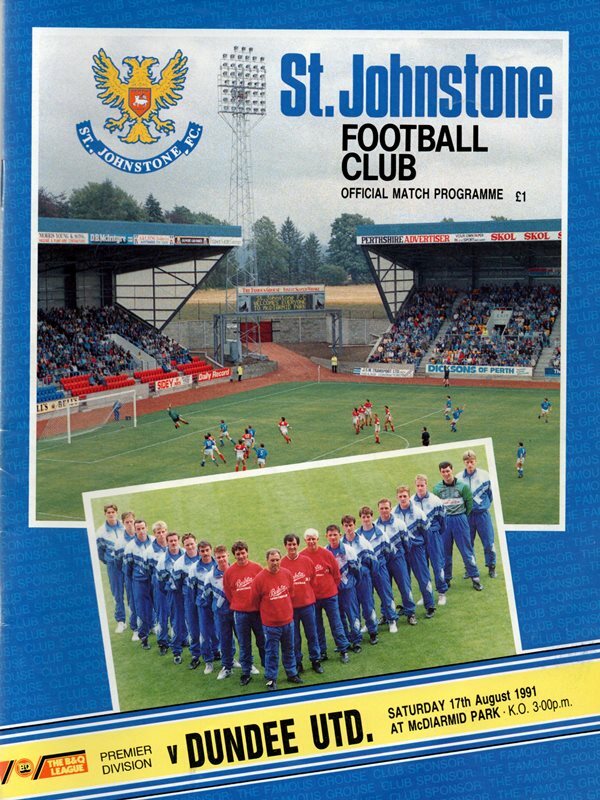 Andy's debut in major competition followed a few weeks later when he came off the bench against St Johnstone at McDiarmid Park. 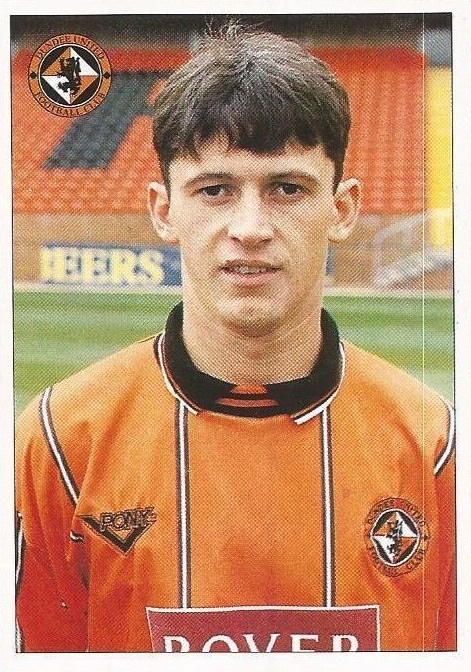 He originally struggled to maintain a run in the first team under Jim McLean, and was even transfer listed in April 1993. However, under new manager Ivan Golac he became a regular during the 1993-94 campaign, and after scoring his first goal for the Club in a 3-3 draw with Falkirk in the League Cup, he scored the only goal in the first Dundee derby of the season, and again to help United past Airdrie in the Scottish Cup quarter finals. With impressive performances in the semi-final matches over Aberdeen and in the final itself against treble-chasing Rangers at Hampden, Andy collected a winners medal as United won the trophy for the first time in the Clubs history. The following season he appeared sporadically as United were relegated from the Premier Division. 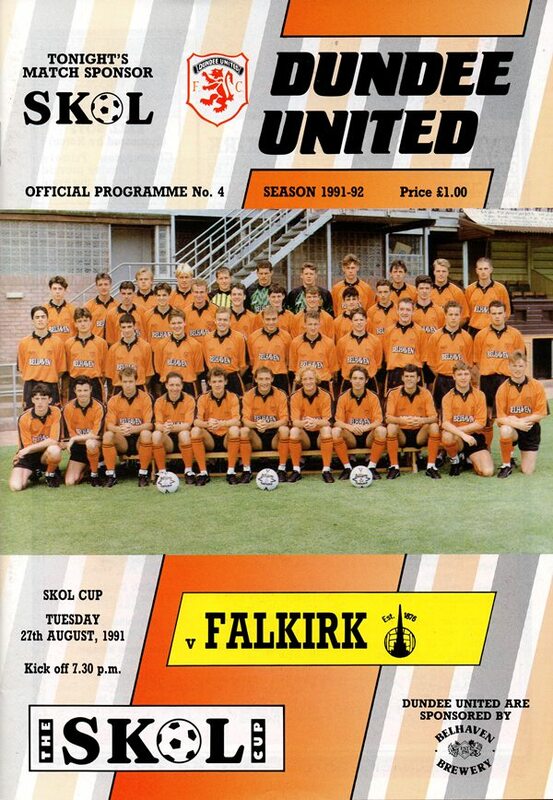 However the winger was instrumental in United's return to the top flight, setting up both goals in United's second leg victory in the play-off against Partick Thistle at Tannadice. After the Club's promotion, he remained one of United's top performers under manager Tommy McLean, forming a lethal attacking line-up alongside Kjel Olofsson, Gary McSwegan and Robbie Winters to help United to a third placed finish and a return to European football. By 1998-99 season, Andy was being used more as a substitute by new manager Paul Sturrock, and in March 1999 he was lured south of the border, when Tommy Burns signed him for Reading for a performance related fee of £150,000. He made his debut against Manchester City, and went on to play nine matches before being sent out on a short term loan to Livingston. On his return to England he was charged with misconduct by the Football Association after failing a drugs test in February 2000, and his contract with the Royals was terminated. 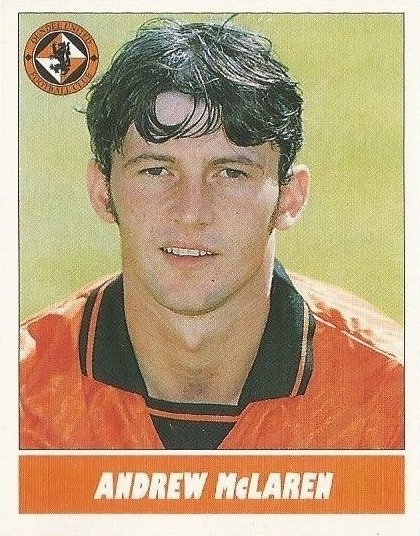 After spending three months out of the game, Andy was offered a short term deal with United in June 2000, but elected to sign for Kilmarnock instead. He jump-started his career at Rugby Park, collecting a League Cup runners-up medal in March 2001 and gained his one and only full Scotland cap in April when he played for Scotland in Poland. In August 2003 he was released by Kilmarnock, and was close to joining Hibs before returning to United for trials and later signing a two year deal. Still a big favourite with the fans, Andy had a good season in 2003-04 but fell out of contention and spent most of the next term on loan, first at Partick Thistle and then at Morton. He signed for the latter club for 2005-06 and then had six months with Dundee before joining Ayr United in February 2007. His fifteen months at Somerset Park were hampered by injury and he was not offered a new deal for 2008-09, when he then joined the junior ranks to play for Lesmahagow, Pollock and Petershill before retiring. 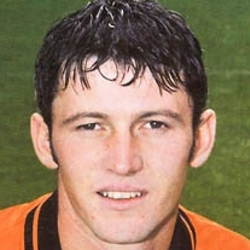 Andy was inducted into the Dundee United Hall of Fame in February 2016. When Dave Bowman sent a long clearance downfield and Christian Dailly tore in on goal but shot wide within the first minute, another sensational start had looked on the cards. As it turned out we held the ascendancy in those early stages with former Tannadice defender Raymond Stewart, almost conceding a penalty when he pulled down Darren Jackson on the edge of the box. If entertainment had registered low on the richter scale against Hearts, then this thrilling cup tie had enough drama and twists to keep even the most discerning fan happy. United got off to a dream start when John Clark whipped over a cross which went behind Parks and although he held on to it, he couldn't prevent the ball crossing the line with only three minutes on the clock. The First Division side weren't knocked out of their stride and held an advantage in terms of possession for the remainder of the first half, but without seriously troubling Alan Main. An efficient performance saw Dundee United move five points clear off Livingston today. Goals from Steve Crawford and James Grady sealed the win before half time. Grant Brebner and Billy Dodds both hit the woodwork in the second half as United cantered to victory.